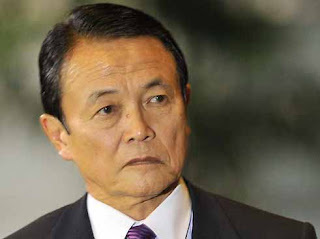 The Deputy Prime Minister of Japan, Taro Aso and Parliamentary Senior Vice Minister of Finance, Honourable Yuko Obuchi will visit Sri Lanka from 1st to 2nd May 2013,the Japanese embassy in Colombo announced. During their visit Aso, and Ms. Obuchi will call on the Sri Lankan President to discuss bilateral relations with a view to further strengthening the long-standing ties between the two countries and will also visit the Port of Colombo and Colombo Dockyard. The Government of Japan provided more than 80 billion Yen (approx. 800 million USD) for upgrading and expansion of the Colombo Port. Colombo Dockyard this year marks its 20th anniversary of partnership with Onomichi Dockyard Co. Ltd. of Japan.